Federal ‘police reform’ has, in Portland, Oregon, qualitatively reduced public involvement in police oversight. A ‘self-defeating accountability system’ was left intact. Police power was enhanced, civilian oversight diminished. On Tuesday, at 6pm, survivors will gather in a memorial for Keaton Dupree Otis. Keaton was targeted by a H.E.A.T. police unit who later asserted the African American victim was scowling and “looking like a gangster” as he drove a “clean, nice Corolla” they thought did not match his looks. The timeline – from police pretext stop to the seven-second hail of gunfire that killed Keaton – ran three minutes. Tuesday’s memorial service will mark the five-year point in a sustained community pursuit of Justice for Keaton Otis. At 2pm on the following day, Portland City Council will implement one element of an agreement the U.S. Department of Justice and City of Portland, Oregon worked out as a plea deal to avoid trial. Federal Findings in 2012 established Portland police routinely engage in illegal use of force. On Wednesday, the City will, with DoJ blessing, reduce public opportunity to review police misconduct. City agenda Item 148 will also demarcate timelines. Consult Hardesty was deeply involved in the 2011 investigation, but the Fed’s Settlement Agreement was negotiated behind closed doors … in slapdash haste with a lame duck Mayor. Our testimony identified shortcomings at both city hearings preceding the plea deal’s adoption; we led public testimony in a 2014 Federal hearing. Never in the multi-year process, of mediation and hearings, did the parties amend the document. It was a sealed, backroom deal that a Federal court last year claimed to have no role but accept or reject as a whole. We are not natural allies with the City’s Citizen Review Committee (CRC), the rump end of a flawed police accountability structure that cloaks our police self-exoneration process with inconsequential public involvement. But we knew justice delivery would remain afflicted when the parties failed to heed testimony from the City’s own political appointees to that body. The City now implements Section VIII (A) – Officer Accountability, Investigation Timeframe; ostensibly imposed to “ensure that all complaints regarding officer conduct are fairly addressed.” The Agreement’s provision is neither fair, reasonable or just. Instead of meeting the purported intent, citizen complaints against police are about to be negatively impacted. SA 121 requires “appeals to CRC shall be resolved within 21 days.” Repeatedly, we heard serving and former CRC members testify that this shortened review cycle presented an onerous burden. Overworked volunteers were burning out* at alarming rates: that truncating this timeframe would only reduce their effectiveness. Most compelling was a reasoned analysis concluding that failure in “expeditious resolution of complaints” did not arise from CRC members’ inattentiveness. Their participation is negatively impacted by delays in police reporting and recalcitrant involvement. Before the DoJ intervened, victims were given sixty days to appeal police self-exoneration in the Auditor’s Independent Police Review Board. (IPR is not ‘independent:’ it relies wholly on a police Internal Affairs unit to produce evidence of wrong-doing; it has no power to compel officer testimony, or discipline those who lie.) On Wednesday, the Auditor will receive City Council’s rubber stamp: victims will be confined to a two-week window to appeal IPR findings. Few can imagine the pressure survivors face, when cops kill a family member. Business executives might appreciate how accurate, well-reasoned report of failures in service delivery would benefit management as a feedback source. 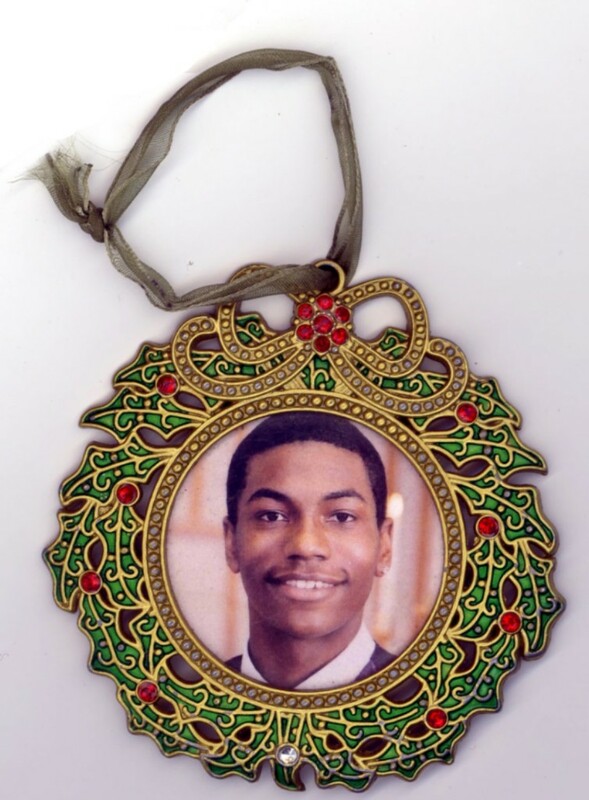 Keaton Otis’ father, the late Fred Bryant, became aware of the massive cover-up of his son’s lynching. He reached out to IPR, who pointedly failed to engage him in official review of the police narrative. ‘Justice,’ such as it was, was delayed. In October 2011, more than two years after killing him, the city and police declared themselves blameless in Keaton’s homicide. The then-serving Auditor – during the DoJ investigation phase – flatly denied Fred’s right to submit the IPR exoneration for citizen review. Attorney Shauna Curphey, documents in this letter how the Auditor violated the perpetrators’ own policy, to see that a pursuit of justice was thwarted. We present the DoJ/City Agreement as a Trojan horse. Civil rights investigators describe a police review process so flawed they styled it a ‘self-defeating accountability system.’ Lawyers then left it intact. Instead of addressing ‘driving while black,’ their ultimate remedy was to expand police power … to now intervene on folks perceived to be in mental health crisis: this City/Federal collusion fosters an entirely new nexus of incarceration without trial. New York Times reporting identifies a dynamic schism hampering efficient delivery of justice: “Even as it has opened more than 20 civil rights investigations into local law enforcement practices, the Justice Department has staked out positions that make it harder for people to sue the police and that give officers more discretion about when to fire their guns.” Pro-democracy protestors in our streets face military-grade tear gas, flash-bang grenades, surveillance and intelligence gathering activities … all fostered by DoJ grants. The DoJ is so conceptually invested in policing, they’ve impaired their ability to assert Constitutional protections when grantees break Federal law. Jo Ann, in legislative and emotional support. Tuesday’s memorial service for Keaton Otis is testament to sustained public involvement, pursuing justice long denied. Despite this, local authorities now lower the curtain on victim pleas for review of injustice. We hope a broad base of justice advocates will take to the polls … and reject our self-defeating accountability system. Along this three-year timeline, of refuted citizen participation in a Federal plea deal, justice activists have gotten post-Ferguson traction. 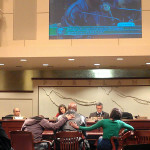 The City of Newark, New Jersey now implements police accountability features Consult Hardesty has long promoted: “the power to subpoena records and police officer testimony,” and sufficient authority “to make its disciplinary decisions stick.” Instead of letting Internal Affairs set the agenda, Portland would do well to empower a truly independent review board that is responsive to citizen needs and capacities. Newark’s police director must determine that the board committed ‘clear error’ to exonerate his fellow officers. It’s a high standard for police and city attorneys to overcome. “The board will also audit department policies and procedures, and it will issue public reports of data on interactions with the public.” We commend inoculation against ongoing deficiencies, and intelligently informed consent of the governed. *Seven of the eleven currently on CRC have served less than a year. Only one member has institutional memory reaching back more than fifteen months. Short learning curves and member burnout have reduced the effectiveness of citizen involvement. Beleaguered volunteers are no match for career police officers and long-term city lawyers who would prefer IPR decisions not be called into question. Out-of-hand IPR rejection rates hover at 70%. All racial profiling complaints are rejected.